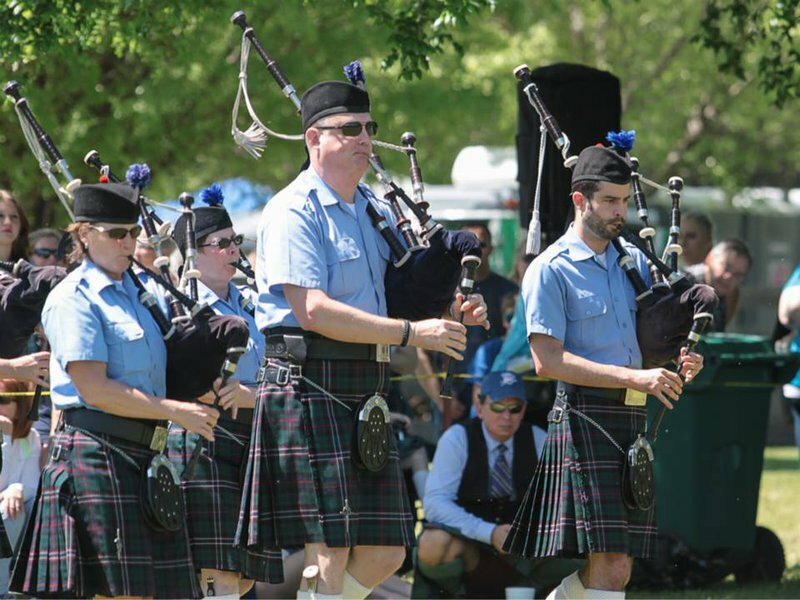 Come watch a caber toss, eat some fish and chips, shop Celtic wares and most of all have a good time at the Iron Thistle Scottish Heritage Festival & Highland Games. There’s something for everyone, Scottish or not, as you watch a kilted dancer and tap your feet in time to a reel. Enjoy this taste of Scotland with rousing Celtic bands and roving pipe band performances and Scottish and Irish dance troupe jigs. Watch traditional Scottish heavy athletic competitions and sheep herding demonstrations or find out more about your Scottish heritage with genealogy research and clan tents. Get a glimpse of traditional Scottish life in the crofters' village. Families will also love shopping the Celtic vendors, sampling traditional Scottish and American cuisine, and participating in kids’ crafts and games. Admission (10 & older): $8 each in advance, $10 at the gate. Weekend pass (advance purchase): $15 While every effort has been made to ensure the accuracy of the pricing listed above, prices are subject to change without notice. Located on the corner of Garth Brooks Boulevard and Vandament Ave, just next to Walgreens. Parking is available next to the park at the Yukon Middle School.